Multipurpose： Attaches easily around crib rails,strollers,baby seat handles,shopping cart handles,etc. 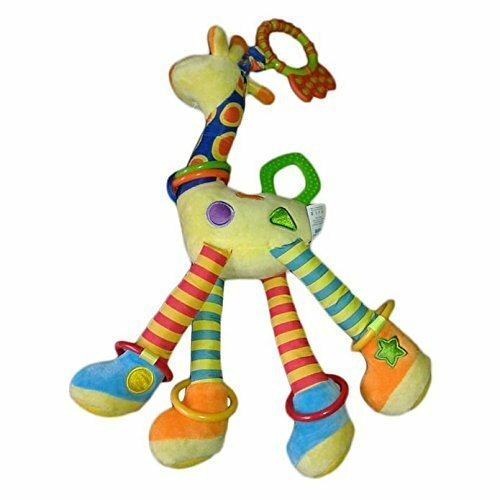 Safety materials:: This giraffe toy pendant has a soft, plush body,very soft and comfortable to touch, Keep your baby having fun. Soft voice to attract baby: This versatile activity toy is ideal for encouraging baby to reach, pull and squeeze,There will be a squeaking sound when pinch the toy's body to attract baby's attention. Great gift: A great gift for any expectant mother,Babies will love and enjoy these toys and parents will appreciate for such a thoughtful and engaging gift. Free your hand: Baby will have fun and focus on playing with the cute toys and you can have free time to do some affairs. Size：11.8 * 9.5 inch (L*W). If you have any questions about this product by BeeSpring, contact us by completing and submitting the form below. If you are looking for a specif part number, please include it with your message.